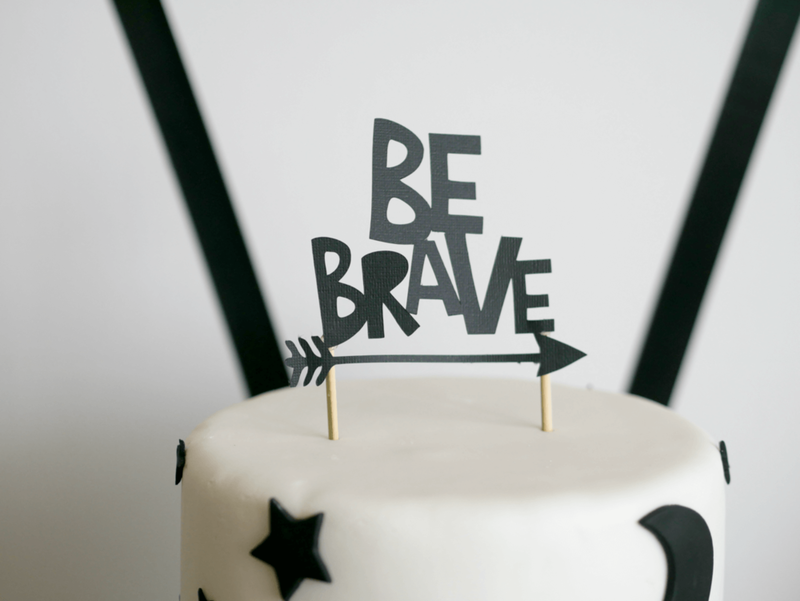 So excited to be sharing with you this Modern approach to a "Be Brave" First Birthday Party! 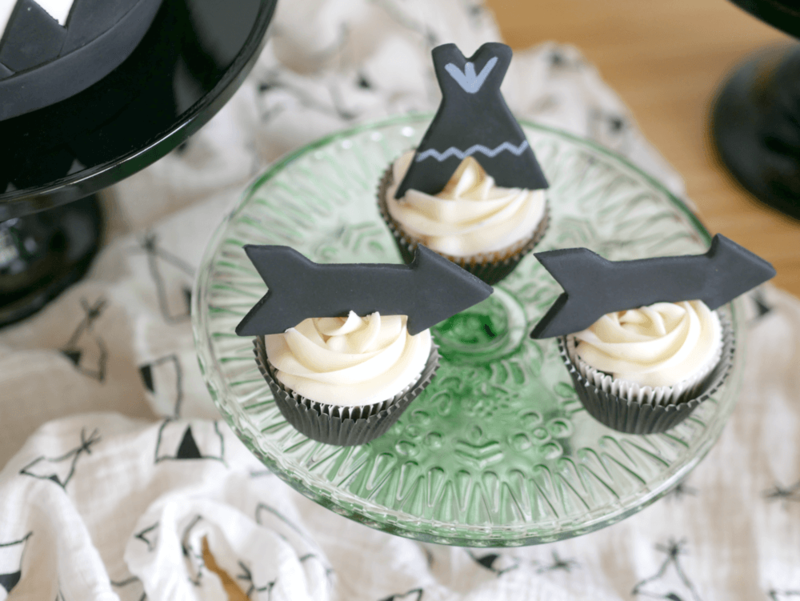 It is super cute and and so easy to replicate. Let's take a look. As you may know, I always like to have that ONE thing that will inspire my whole party decor. In this party, the black cups you see on my table, was the thing that inspired it all. Let's start with how I did the backdrop- I went ahead and bought black washi tape from my local craft store and just started making the outline of some tents. Nothing fancy, I just eyed-balled it! 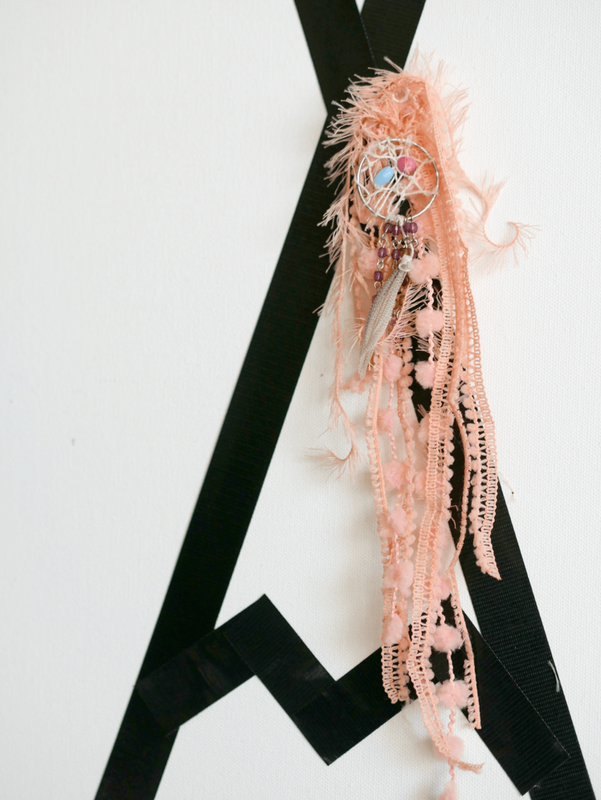 I also cut out some black paper stars and randomly glued them on to the wall. Since this is a Twins (Boy and Girl) party, I wanted to make two tents to make sure each birthday baby had their own tent! I then customized each tent with a bunch of different types of ribbons and charms- coral for the girl, and teal for the boy. 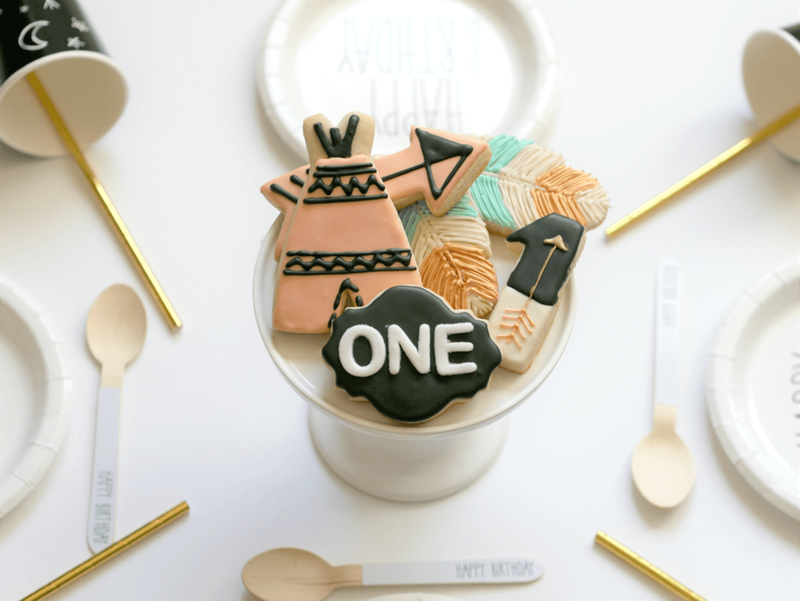 Of course you can use any colors you want, or if you are just celebrating one baby, you could not use any decor and just leave them as is if that's what you like! 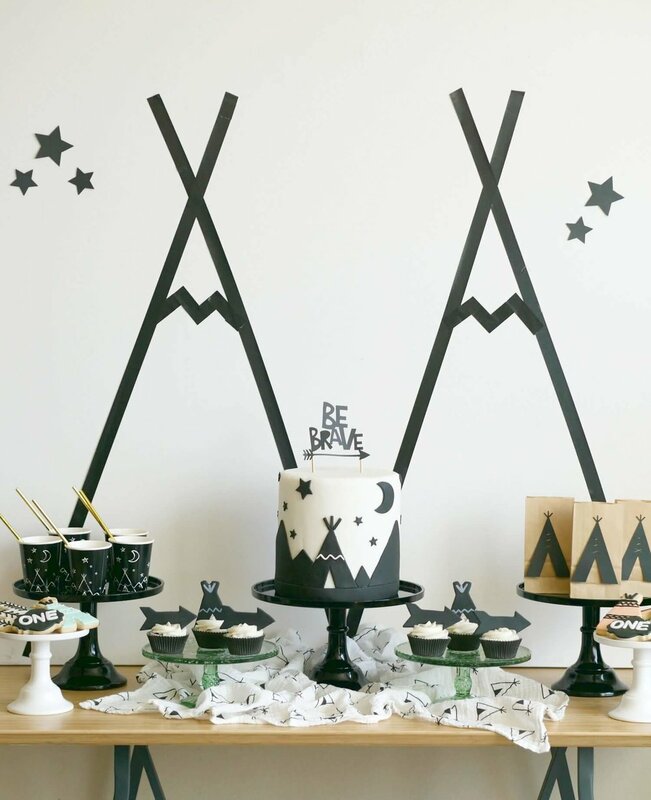 For the cake, I went ahead and ordered a white cake with black tents, mountains, stars and a moon.. I love the wild look! 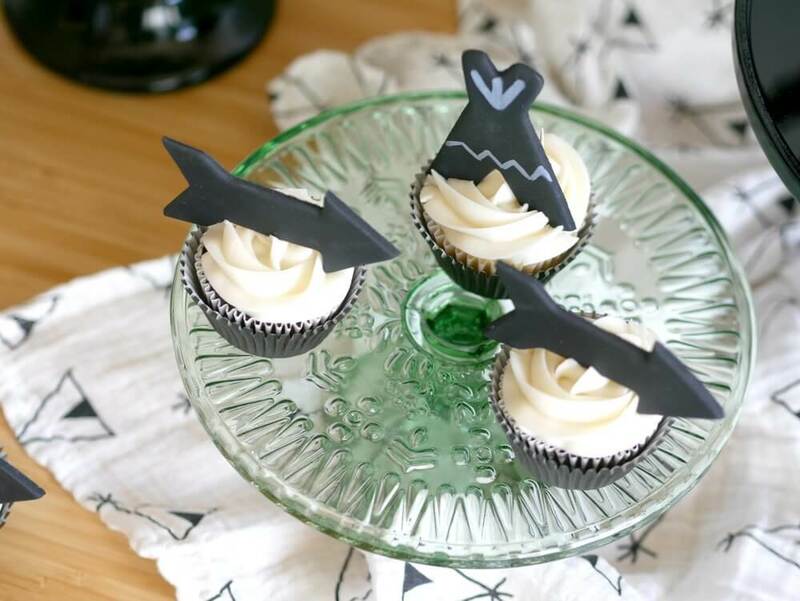 As for the topper, I bought it from my friends over at Joonie and Joe from their Modern Camp Collection. I love the font; I definitely think it adds a more modern touch to my table. 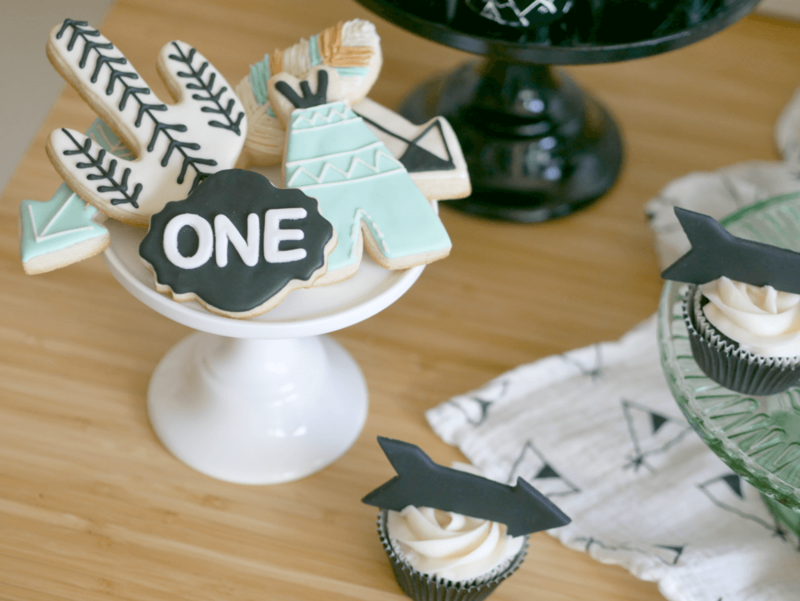 I also ordered some cupcakes and cookies in our color scheme.. 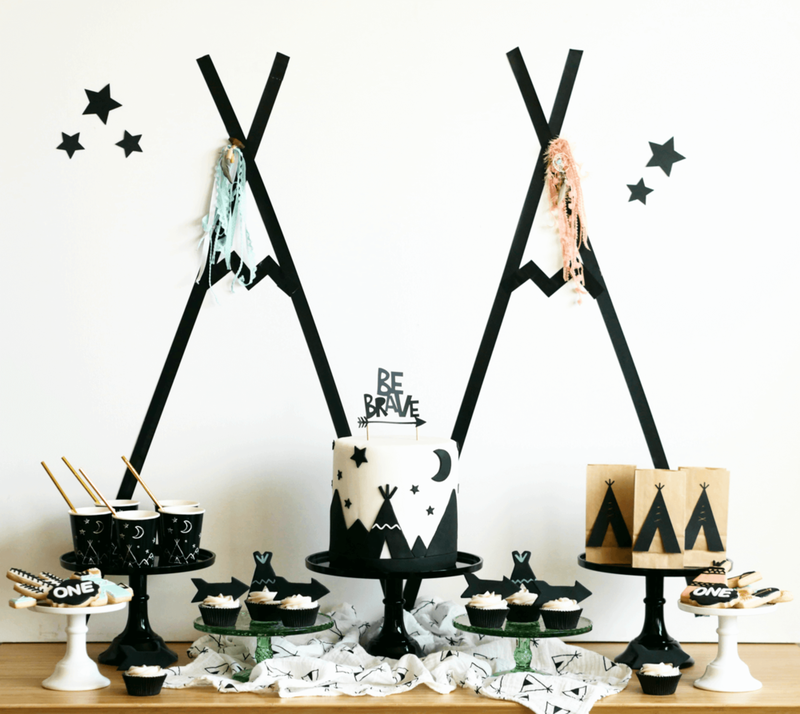 The idea of this Modern "Be Brave" party is to minimize the decor and present the desserts in a simple, but pretty way. I used some green and white cake stands to display the desserts. 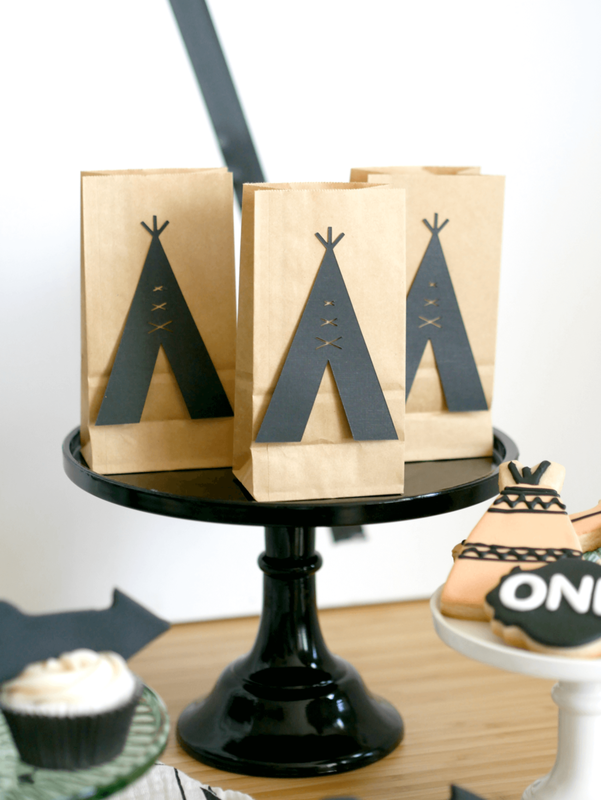 I always like to make things in advance, so I grabbed a brown paper bag, and added a fun tent cut-out to it. I then filled it with a juice box, baby food and some small crackers. 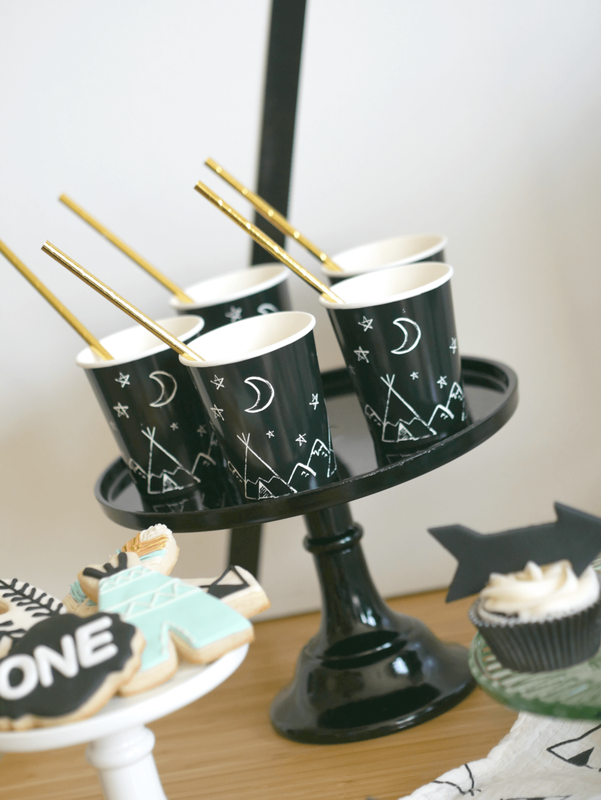 I saved the regular drinking cups (my party inspiration) for the adults and I used gold straws to add a pop of color. While I was shopping at some local boutiques, I happened to find a cute piece of fabric with black tents. I was so lucky to find that exact print! I just threw it over the table and voila! I also got some modern plates and cute wooden spoons for the table setting. 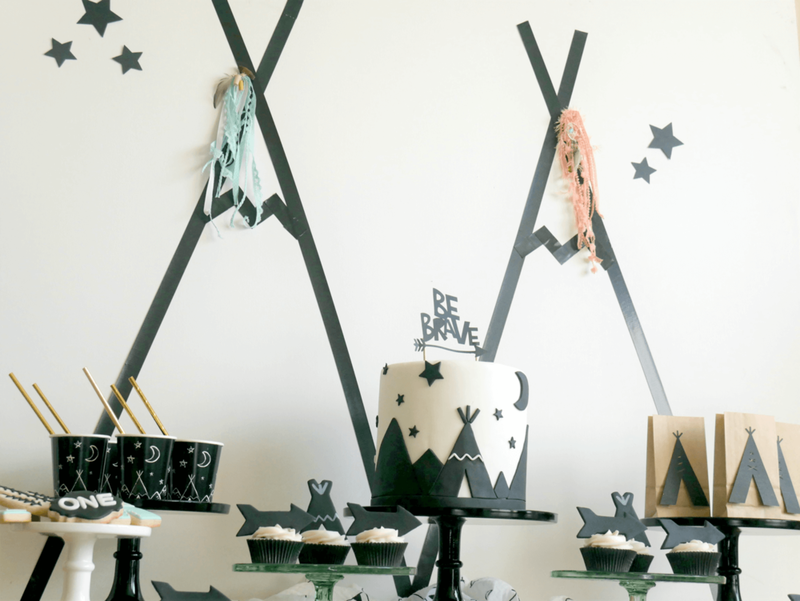 Hope you all liked this modern take on a "Be Brave" theme party! If you are visiting for the first time, please make sure to subscribe to our website so you can get all party updates, new trends and more. I don't want you to miss anything.